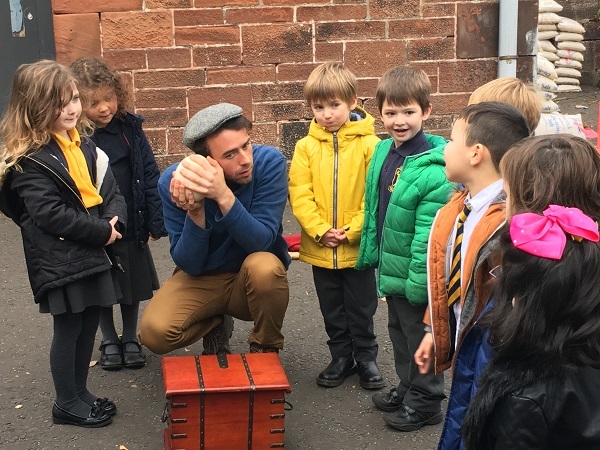 Out to Play is a creative outdoor learning project in which Drama Artists collaborate with partner primary schools and nurseries to explore the role of Drama and Storytelling in Outdoor Learning. 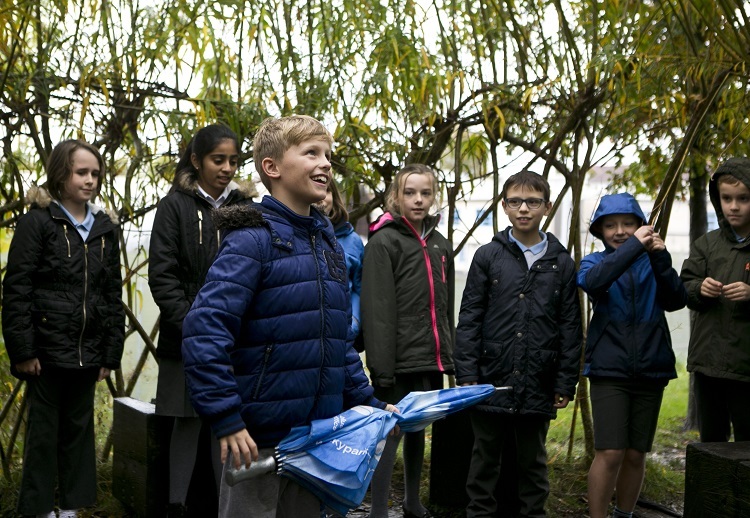 The project seeks to facilitate interaction with the natural world through quality artistic experiences, re-thinking traditional views of nature and noticing and appreciating nature within built-up city environments. 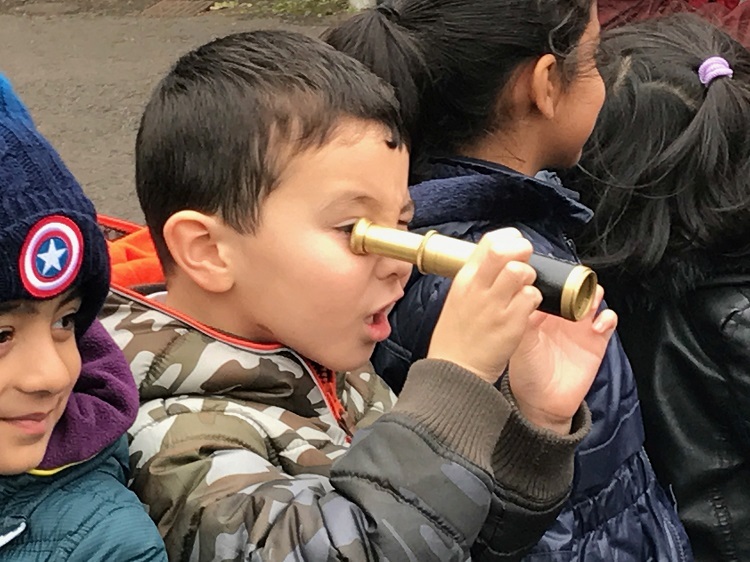 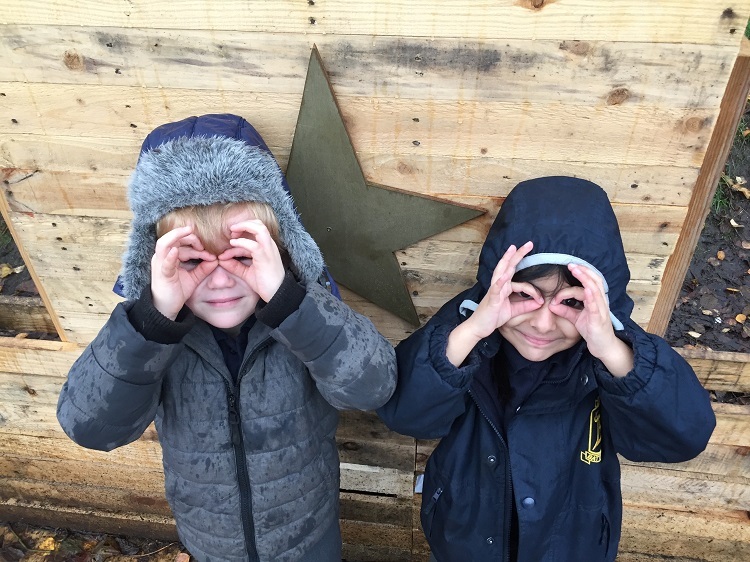 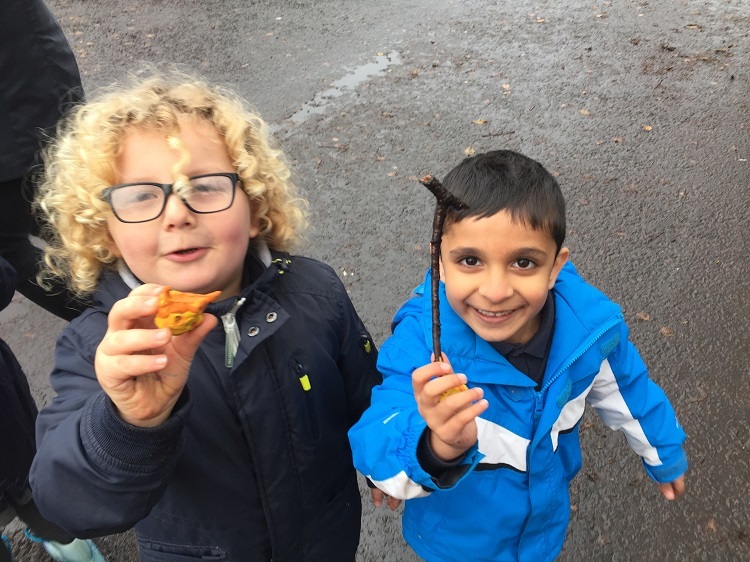 Sessions are tailored to the unique surroundings of each school, and through imaginative play and adventurous learning, Out to Play aims to deepen young people’s connection to our natural world. 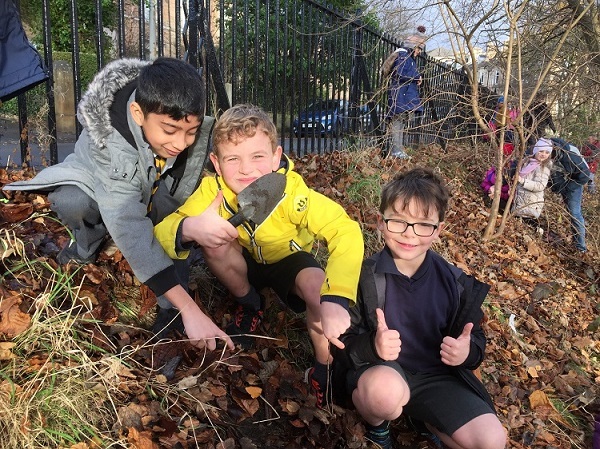 Following on from the successful Out to Play pilot project in 2015, winner of the Glasgow City Council Environmental Initiative Award 2016, Eco Drama are now delivering a full scale project spanning 4 project years 2017-2021, collaborating with 28 primary schools and nurseries within disadvantaged areas across Greater Glasgow. 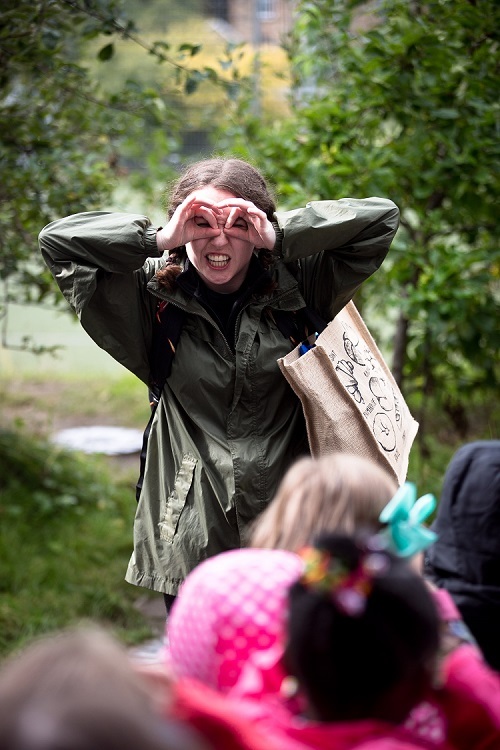 Each school or nursery works with a Drama Artist for a 5 week or 1 week outdoor learning residency, connecting children and young people with the natural world through quality creative learning experiences delivered in school playgrounds. 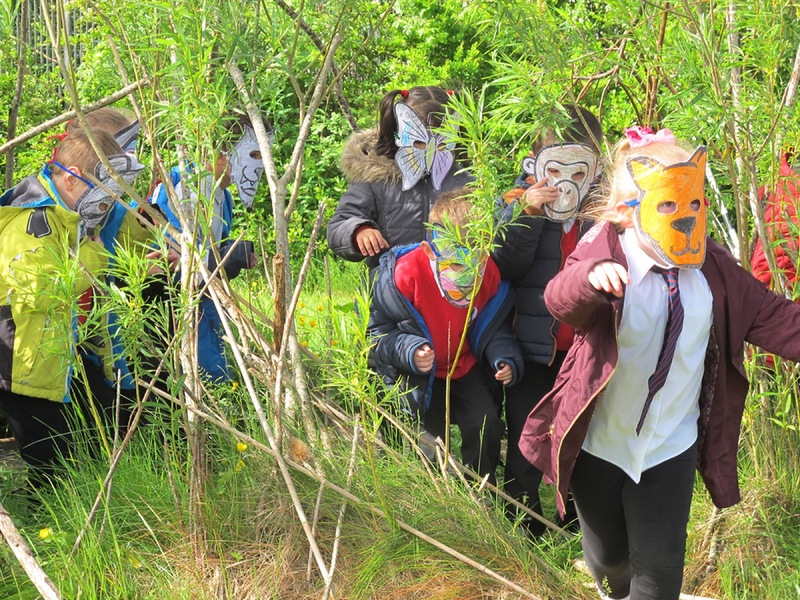 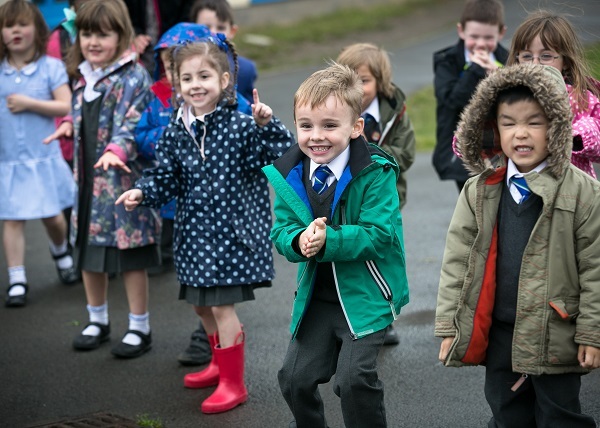 The project is estimated to reach more than 5,000 children and 600 teachers with tailored arts-based outdoor learning experiences and teacher CPD workshops. 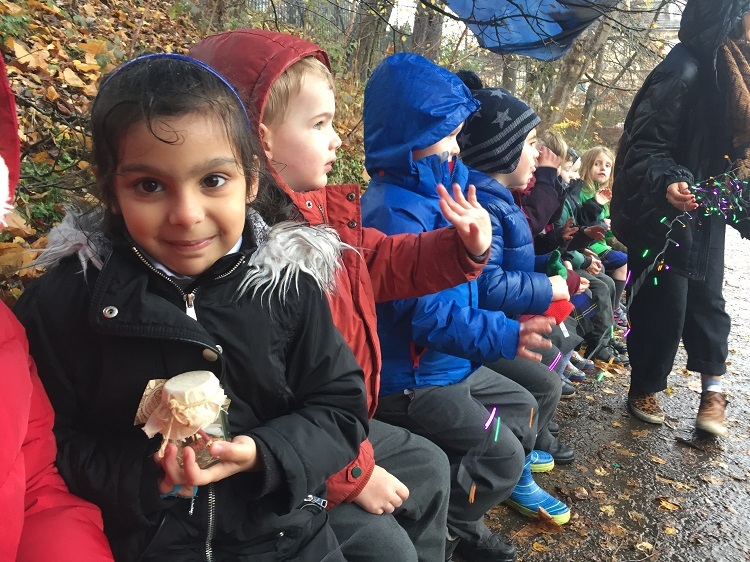 Out to Play has a strong Continued Professional Development (CPD) element for Teachers and Nursery Leaders. 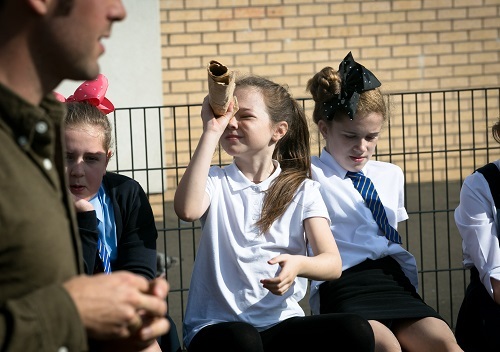 The project is designed to ensure a lasting legacy with the advancement of staff knowledge, confidence and skills, empowering teachers to deliver arts-based outdoor learning for many years to come and have ‘Out to Play’ sessions become part of their school’s weekly timetable. Out to Play with Eco Drama from Eco Drama on Vimeo. 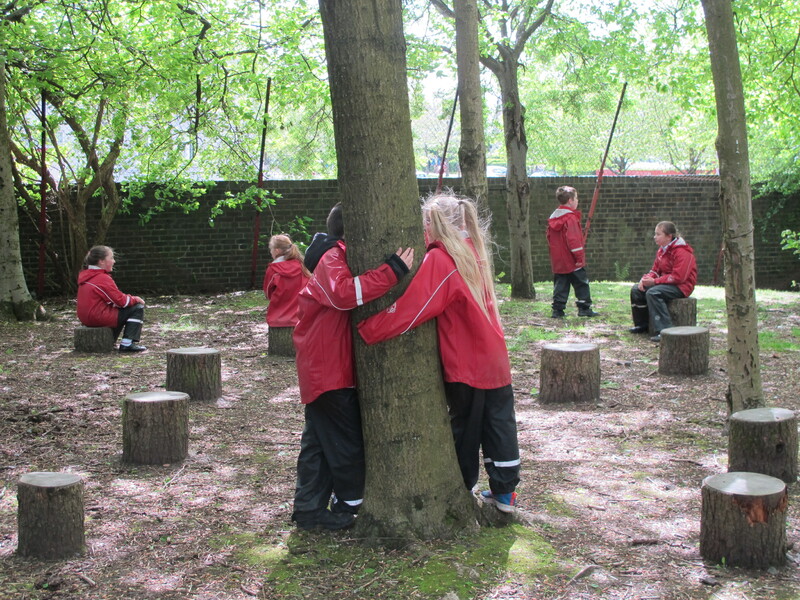 – 2,832 Pupils across 16 primary schools have participated in Out to Play creative outdoor learning residencies. 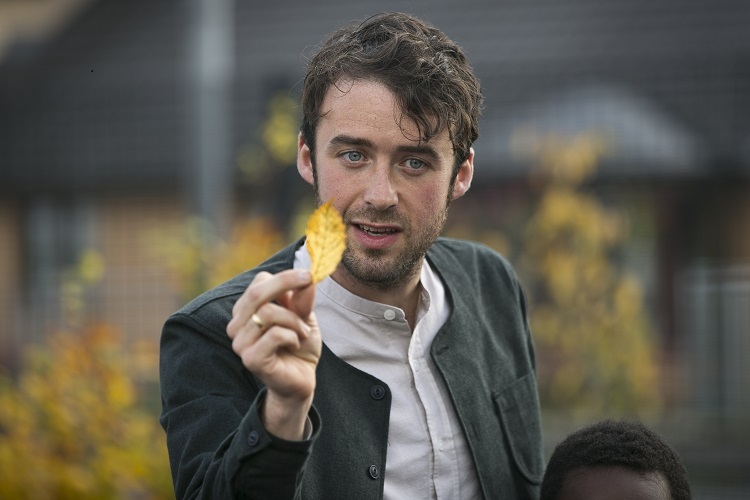 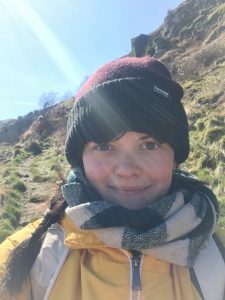 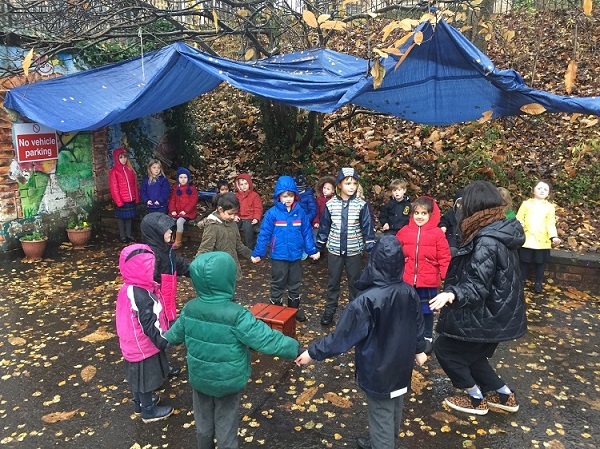 – 400 Teachers have participated in the residencies and associated Out to Play CPD workshops, which share best practice from Out to Play and develop knowledge, confidence and skills in embedding drama and storytelling within outdoor learning. 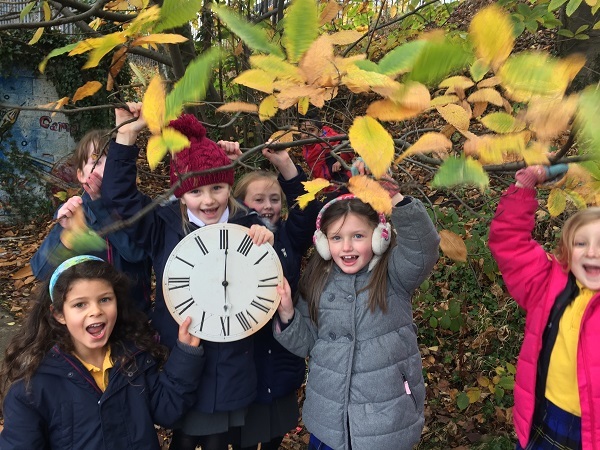 – The project has produced 3 Resource Packs for teachers, nursery staff and education practitioners – the first edition Out to Play Resource Pack, a second edition pack ‘Let’s Go…Out to Play!‘ and an Early Years Resource Pack available in autumn 2019. 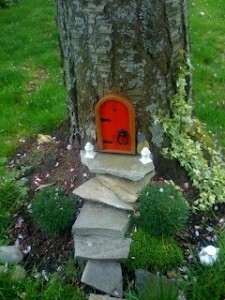 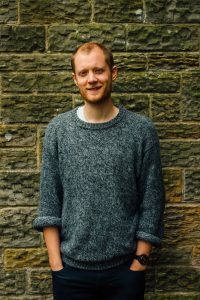 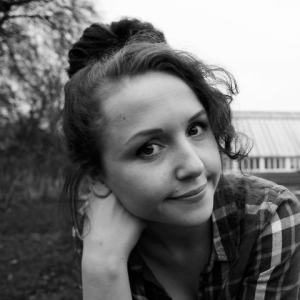 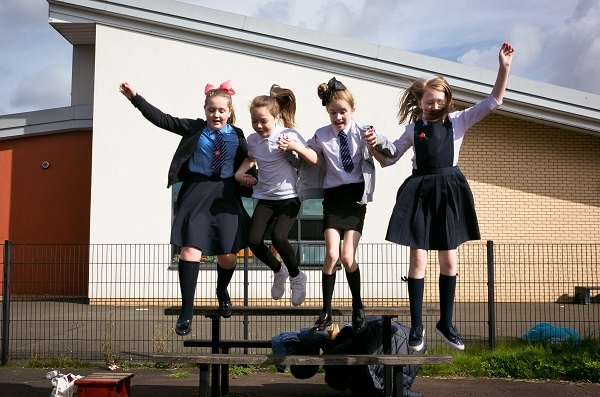 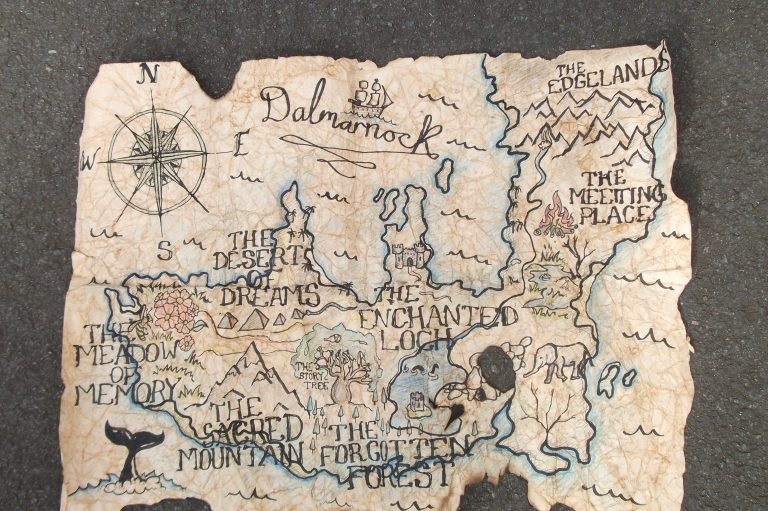 – During the 2015 residencies, pupils planted their own ‘Living Stage’ and watched it bloom into the theatre production Uprooted which reached 1,364 children and adults over 31 performances in public venues and festivals across Glasgow, eventually returning to the schools for pupils to watch the production in their playgrounds. 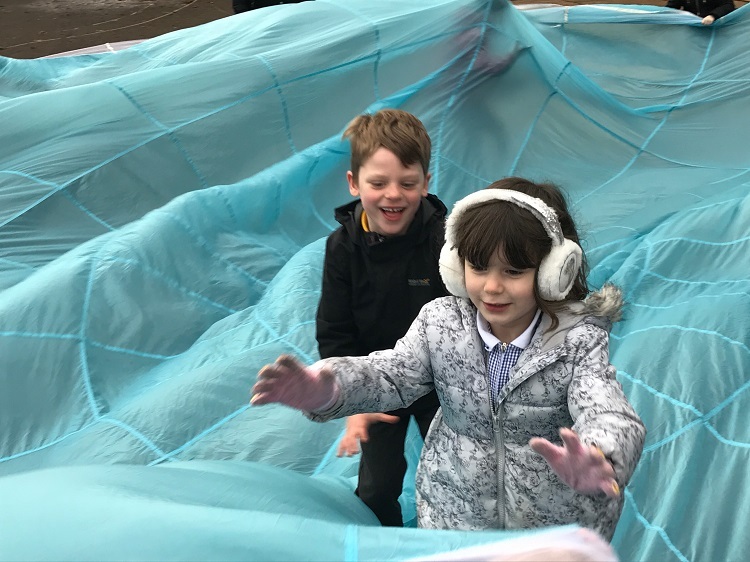 The Living Stage was then replanted into one of the school playgrounds, transforming a grey fenced area into an enticing and unique garden playspace. 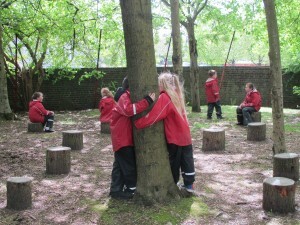 – Evaluation carried out one year on from each residency demonstrates that the collaborating schools are now doing more outdoor learning, with ‘Out to Play’ sessions becoming part of schools regular timetable, and there is also an increase in teachers using drama and storytelling within their practice. 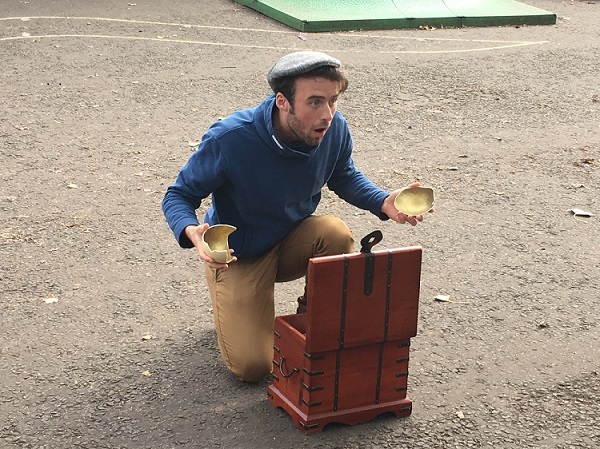 Please see the Further Info sidebar to read comprehensive reports on Out to Play 2015 and 2017. 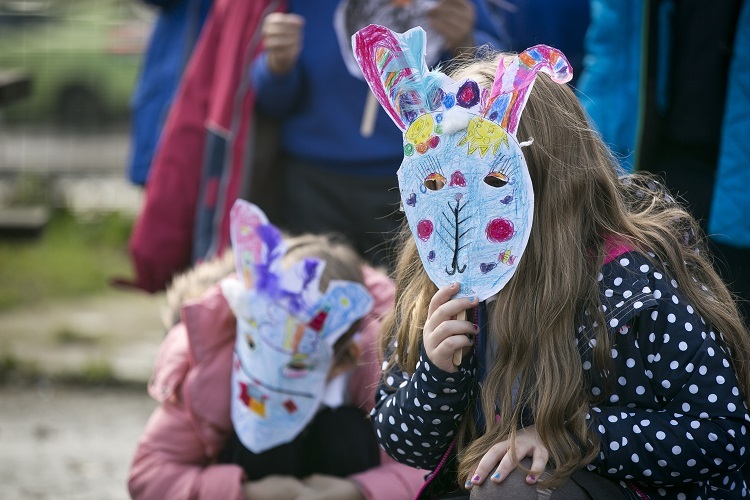 Out to Play 2018-19 is supported by Esmée Fairbairn Foundation, Ernest Cook Trust, Gannochy Trust, Pump House Trust and several smaller funders. 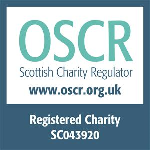 Please see our Supporters section for full details. 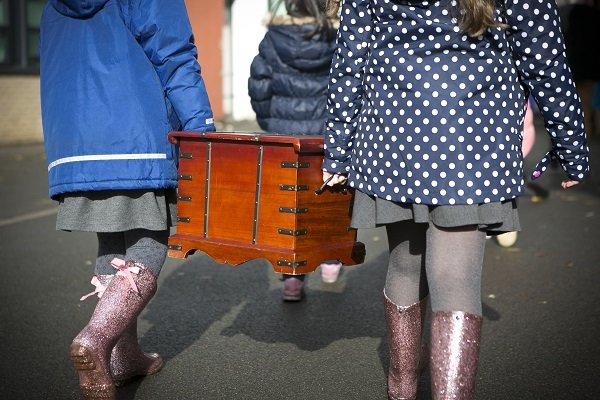 Watch the Out to Play & Uprooted Documentary Film.